Make Anywhere Your Personal Runway! And we wonder ” Why did she even step out of the house in heels?” , there are some of you who may be that girl struggling. Well today ends your 6 inch heel woes. After listening to these helpful tips and practice you will dominate the room strutting in your stilettos with a smile! There you have it! Once you’ve got the confidence and the knowledge you will definitely turn all heads in a room once you arrive. Soak in all of this helpful information and go out into the world showing everyone you’ve got IT! 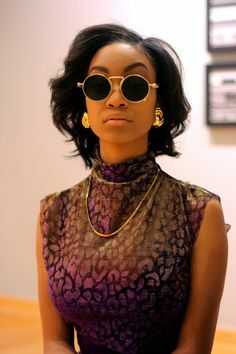 Style Appeal: Rock it or TOSS IT! Fendi has released a new heel named ” Leather Monster Bootie Sandal”. The bootie features and animated figure on the shoe adorned with feathers, The pair of eyes on the heel creates the monster look. The whimsical monster motif on this heel is very different and definitely makes a bold statement. Theses booties feature fox fur, leather lining and a sculpted open heel. 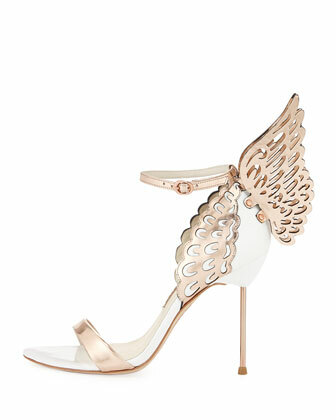 These heels run for $1,450.00 at Neiman Marcus and Bergdorf Goodman. So the question is, would you rock it or toss it?